Just a 5 minute walk from Kelvingrove Museum, the Sisters at Kelvingrove never fails to impress. 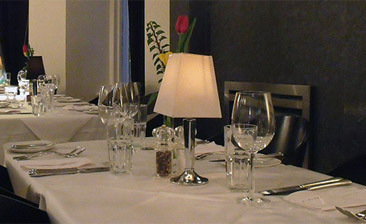 The lunch menu has a very homely feel about it with the best of Scottish produce. The highlights of the set lunch were the smoked haddock and leek risotto starter and the puff candy meringue with honeycomb ice cream and butterscotch sauce. One of my guests said the it was the best sweet he had ever tasted. Our welcome was very warm and the service was excellent. Highly recommended.